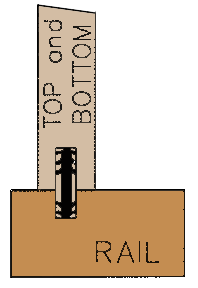 The spline is a length of "barbed" plastic which, when inserted into a precut slot in two component parts, can then be joined and held together while glue cures, thus eliminating the necessity of clamping. Splines are 3" long, 5/8" wide and approximately 3/16" thick. These splines can be cut shorter if needed. 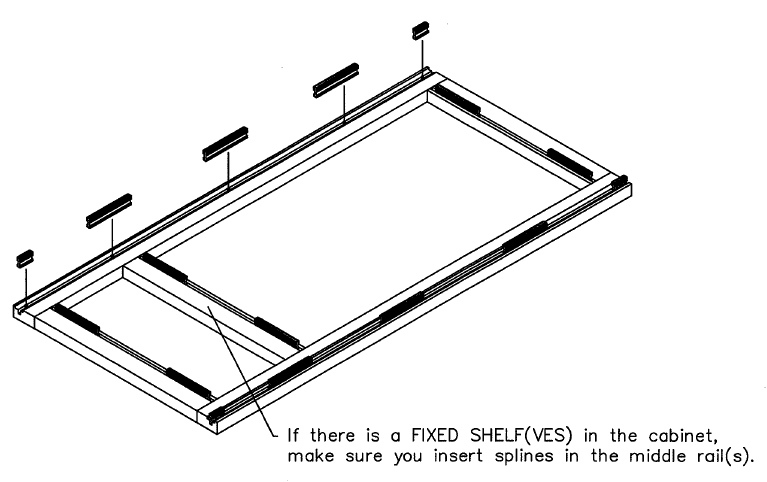 Use shorter splines in the four corners of the cabinet front frame. 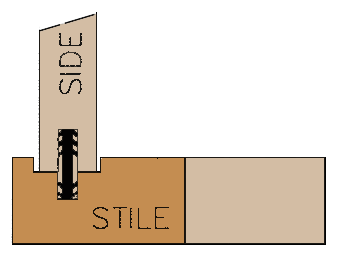 The full length 3" splines can be positioned at random around the cabinet front frame, keeping them away from the rail groove where the stile and rail meet. This is only necessary when you have a top, bottom, fixed shelf or a 3" strip attached to it.